Why has no one heard of Edna Cranmer? When a young writer is hired to put together the life of an unknown artist from Geelong, of all places, she thinks it will be just another quick commission paid for by a rich, grieving family obsessed with their own past. But Edna Cranmer was not a privileged housewife with a paintbrush. Edna’s work spans decades. Her soaring images of red dirt, close interiors and distant jungles have the potential to change the way the nation views itself. Edna could have been an official war artist. Did she choose to hide herself away? Or were there people who didn’t want her to be famous? As the biographer is pulled into Edna’s life, she is confronted with the fact that how she tells Edna’s past will affect her own future. This elegant and engrossing novel explores how we value and celebrate art and artists' lives. The Biographer’s Lover reminds us that all memory is an act of curation. If you enjoyed the recent work of Gail Jones, this novel about the worth of art, set in Melbourne’s north and Geelong, will also delight you. I loved to read about the brick terrace in Carlton, the attic bedroom in Geelong, the drive over the Westgate Bridge and the minor characters that play into this book. The novel centres on a young writer who is hired to write about the life of an unknown woman artist. This ‘assignment’ is a vanity project driven by a family obsessed with their own legacy. However, the scope of the project changes when she sees the work of the late Edna Cranmer. Cranmer’s studio is filled with canvases in various sizes with wonderful painted images of family members, and of women working in war zones, in fields or at home. The biographer recognises that this is the work of a brilliant painter and that her virtuosity could have far-reaching consequences for the family, the artist and herself. Murray’s writing allows you to be swept into the lives of the artist’s family and of the narrator. 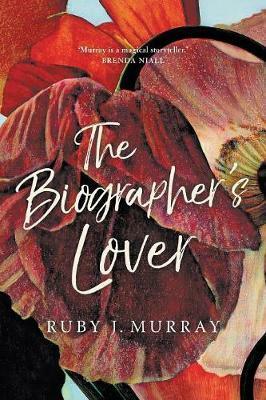 The Biographer’s Lover reiterates that memory and fame in any form is an act of curation. Sadly, as we know, there have always been compromises made for women’s art to be part of our cultural identity. Murray’s second, evocative novel could be considered a coming-of-age story, but it is also about how and why we respond to art. In many ways this novel is also a depiction of two cities, and of education and desire. But it’s primarily about art and truth, and where they fit into our psyche. When I finished reading this excellent novel, I looked up the work of Edna Cranmer. I was delighted with my search results. Chris Gordon is the events manager for Readings.